A serene island located far off from cities, Pichavaram is famous for the mangrove forests. Pichavaram mangrove forest has the distinction of being the second largest mangrove forest in the world. Take a boat or a canoe and paddle the lanes between the mangroves, and feel secluded from the rest of the world. Pichavaram is situated in Cuddalore district in Tamil Nadu, near to Chidambaram. It is situated between the Vellar estuary and Coleroon estuary in north and south respectively. The Pichavaram mangroves and Killai backwater originate from the Vellar-Coleroon estuarine. Water sports like rowing, kayaking and canoeing have good scope in these backwaters. And they interlinked by the Coleroon and Vellar river system. And this makes Pichavaram one of the notable tourist spot to plan a trip in south India. Pichavaram offers spectacular waterscape and it can be enjoyed on affordable cruises there. Boating through more than 400 routes is another attraction here. There are many islands spread across the vast waterscape with natural vegetation. 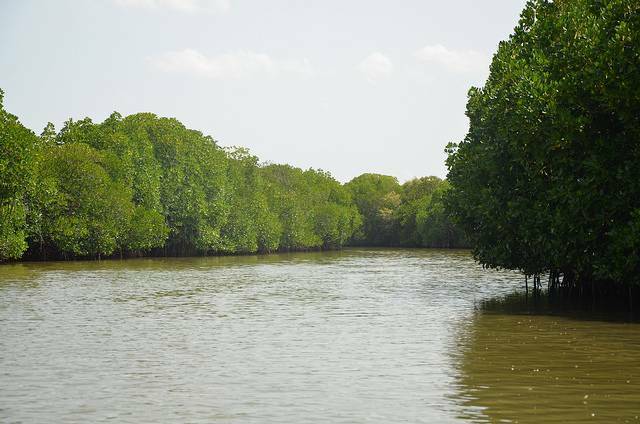 Hence, It is a well-developed one among other mangrove forests. The mangrove has an area about 1100 hectare and is parted from the sea by a sandbar. The Pichavaram ecosystem is consist of many rare species. It is rich with flora and fauna such as Avicennia and Rhizophora which is attractions of the place. Rare, valuable shell and fish like finfishes existing in this biotope. And it is home to venomous snakes also. The Pichavaram is prosperous with birds that include real migrants, local migrants and residents. Wide varieties of birds like pelicans, spoonbills, herons, cormorants and snipes etc., are available here. This is the reason for bird watchers and nature lovers to get attracted to this land. September to April is considered as the best time to watch birds. During November to January bird’s peak population is found here. It is due to the arrival of true migrants from abroad and migrants from Indian breeding grounds coincidentally. The place is accessible by road from Chidambaram, bus from Pondicherry and a four hour drive from Chennai. Chennai to Pichavaram is just about 250 Km distance and boating in the island adds beauty to one’s trip. Rhizophora and Avicennia are the two widely distributed tree species throughout the forest. Visiting the island in between November and January is ideal for bird seeing. The boatmen who offer ride are friendly and innocent. Row boats are most preferred than the motor boats as it would avail us to delve and go to the interior parts of the mangroves and it takes 2 to 2.30 hrs for a round trip. The depth of the water is three feet, not-so-dangerous to perform stunts but it is advisable not to venture as the water is muddy. The rich water species such as pied kingfishers, dolphins, sea otters, crabs, and silver hued fishes adds beauty to the vacation tour. The dawn festival attracts multitudes of tourists to witness the fest. The features of the festival are observing the fishing style of Irula tribes, folk and traditional music shows, sea food dinner, and bird watch and boat ride early in the morning. The people interested in backwater and nature should check in here. If you had watched Kamal Hassan’s blockbuster hit “Kallai mattum kandaal” song in “Dasavathaaram” movie never would you resist the urge to jot a plan for the forest in Pichavaram.